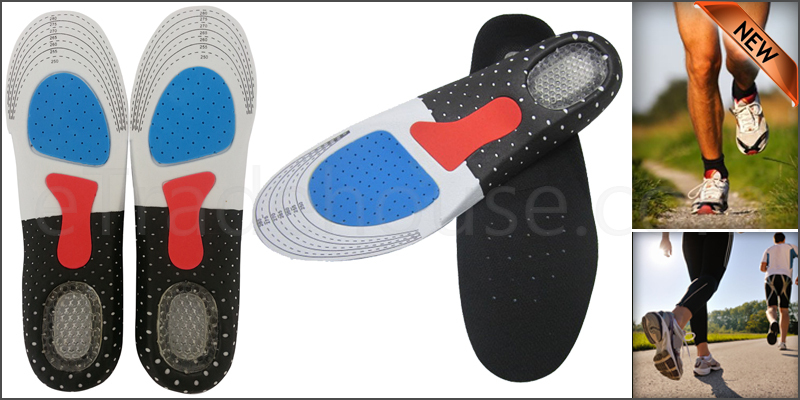 Pair of Orthotic Arch Support Unisex Insoles Sport. It’s perfectly design for men and women’s, you will definitely love it. Our innovative orthotic foot insoles are formed to make sure the foot functions correctly and help to get rid of pain. Distributes pressure and absorb shocks. Its high quality, fashionable, comfortable and stabilize foot motion. Soft and elastic enough that can prevent rubbing, blisters, fatigue and ankles pain. Reduce heel pain, shin pain, knee pain and back pain. User friendly for everyday use running, climbing, golf, basketball, hiking, bicycle, football, etc. Excellent comfort, cushioning, support and easy to clean. 1x Pair orthotic arch support unisex insoles.